The Florence Hathaway Trail, about a half-mile long, leads to the Sophie’s Lair Trail. Overall, the ski/snowshoe adventure will run about 3 hours. Before the trek, attendees are invited to meet at 8 am for breakfast at the Willsboro Diner. 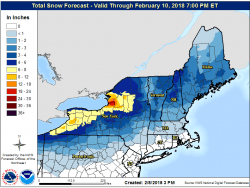 Reservations are not required, but advance notice is requested to give the Willsboro Diner a heads up on numbers; call (518) 962-2287 or send an email to info@champlainareatrails.com. Sophie’s Lair is a has a variety paths through a forest with old stone walls from forgotten farms and of oak, hickory and pine trees. 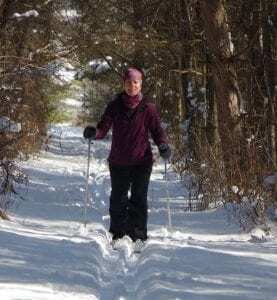 There are small frozen creeks, seasonally wet but now frozen areas, and gentle hills perfect for cross-country skiing and snowshoeing. 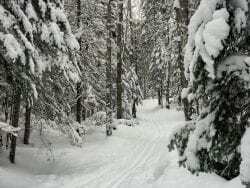 This event is hosted by Champlain Area Trails (CATS). Most of CATS trails are on private property where landowners allow public access along the trail. Sophie’s Lair Trail landowners Jenny and Reginald Bedell offered their property as a place for a trail and worked with CATS and the Open Space Institute to conserve their property, making the trail permanent through a conservation easement. 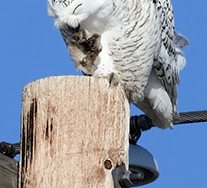 For more information on Champlain Area Trails, call (518) 962-2287 or visit their website. 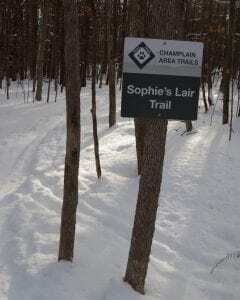 Photos of Sophie’s Lair trail, provided by Champlain Area Trails.